You are here: Home / Blog / Bid-Ninja / Where In The World Is Madbid? Where In The World Is Madbid? Madbid users around the globe have been wondering and asking themselves what happened to the longtime U.K.-based penny auction site Madbid? Madbid was founded in 2008 and owned by parent company Marcandi Ltd, which itself is wholly owned by Jersey-registered firm Keyword Group Ltd. In 2009, raised approximately $6 million in venture capital money from Atomico to launch Madbid throughout Europe. In addition to the United Kingdom, MadBid operated websites in these nine other European countries: Austria, Germany, Ireland, Italy, France, Netherlands, Poland, Spain, and Turkey. 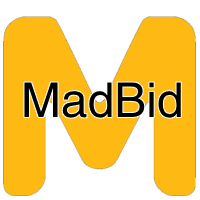 Madbid also had auction sites in Australia, India, and the United States. 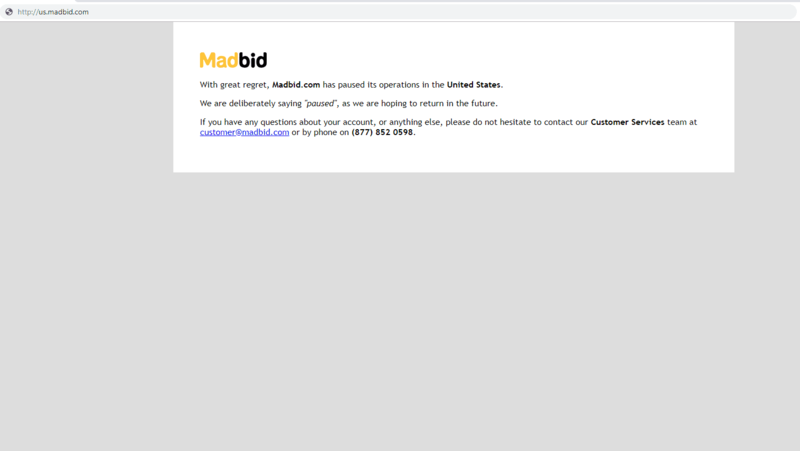 On June 28, 2018, Madbid users across the Atlantic learned that their favorite penny auction website went into administration (something akin to Chapter 11 in the United States). The nail in the coffin occurred when Europe’s highest court ruled against Madbid in a tax dispute, as reported in the Courthouse News Service article UK Prevails in Tax Dispute With Penny-Auction Site Madbid. Ultimately, it appears that Madbid’s demise resulted from its inability to pay the additional and significant taxes imposed by the EU court. Their business model was never setup to account for these massive taxes. American and Canadian penny auction players may find comfort knowing that the circumstances under which Madbid closed its doors are significantly different circumstances to those on this side of the Atlantic. Specifically, respective tax laws and interpretations by courts thereof. While certainly there have been other penny auction sites that have come and gone, aside from Madbid and Beezid, most have been much smaller startups. All is not doom and gloom in the world of penny auctions … far from it! Two long running giants in the space — QuiBids and DealDash seem to be strong as ever. Quibids continues to auction many name brand items and gift cards and DealDash average 100+ simultaneous auctions daily. So let’s close (no pun intended) on a positive note. 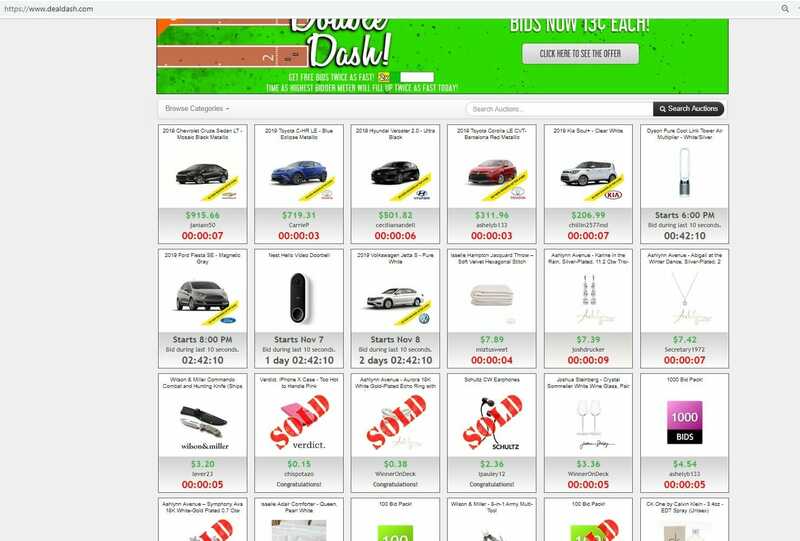 The screenshot below shows the live auctions taking place at this very moment (November 6, 2018 at 5:15 pm ET) on dealdash.com that includes many, very awesome automobiles! Remember it’s Election Day, so if you haven’t done so yet … GO VOTE!!!!!! https://www.bid-ninja.com/wp-content/uploads/2015/08/madbid.png 200 200 Bid-Ninja https://bid-ninja.com/wp-content/uploads/2017/08/bn_logo300x50-300x50.png Bid-Ninja2018-11-06 22:48:272018-11-10 20:57:14Where In The World Is Madbid?